Talking about desertion is never an easy task. We are all proud of our ancestors and what they did. We kind of confine the deserters in the back room closet. What I want to know is this: what regiment, North or South, had the most deserters. If you know anything about the 58th NCT, you probably know that desertion was bad in the regiment throughout the war. At least eight men from the 58th NCT were executed in Dalton, GA, in May 1864 for desertion. At Chickamauga (September 1863), it appears that at least 372 men were absent from the regiment. There are another 139 that had disappeared from the records by this date. It is not possible to know just how many from the 58th deserted. The records after August 31, 1864, are gone. There are many men who disappear. They are not present in May 1865 at the surrender at Greensboro. Did they die? Were they sick? Were they discharged? So, back to my question: which regiment had the most deserters? Folks - I’ve been working on my spring/summer/fall 2008 appearance schedule. You can check it out here. There was an interesting article this morning in the Charlotte Observer regarding the final resting place of Sgt. Ivy Ritchie of the 14th North Carolina Troops. Many contend that Ritchie, a member of Co. H of the 14th NC from Stanley County, was killed at Appomattox Court House, the last battlefield death in the Army of Northern Virginia. After the war, Ritchie’s remains were interred in the Popular Grove National Cemetery, in Petersburg. The tombstone above the grave states that the soldier interred underneath is J Richie of the 14th NY. The National Park Service is having a "mock trail" to try and determine just who is buried in the grave. I don’t quite understand the "mock trial" label. They are really going to decide who they (NPS) say is buried in the grave. Maybe, if the weather is good, I might try and go up to old Virginia to see what happens. 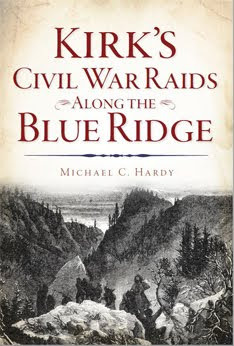 Since I have been working on the Chickamauga section of the book, I have done a little more digging into the life of Lt. Col. Edmund Kirby, 58th NCT. Edmund was a cousin of Colonel Palmer’s wife, Fanny M. Kirby. They are all a part of the large, New England Kirby family. As a side note, Fanny Kirby Palmer’s brother is the Edmund Kirby that was in charge of a battery at Chancellorsville, where he was mortally wounded. He was breveted brigadier general on his deathbed by Lincoln. Edmund Kirby was born March 13, 1839. His father was Maj. Reynolds Marvin Kirby, a member of the 1st United States Artillery. Major Kirby lost his life in 1842 during the Seminole Wars. Edmund was educated at school in Richmond before entering the Virginia Military Academy. While at VMI, he was one of the cadets who witnessed the execution of John Brown. Following his graduation from VMI in 1861, Kirby was a drill master at Camp Lee near Richmond. He then worked with a Tennessee regiment, but while at Harper’s Ferry, became ill and was forced to return home. Once Kirby regained his health, he joined R. Lindsay Walker’s Artillery battalion, and was soon a sergeant, drilling his new comrades. In 1862, John B. Palmer asked that Kirby be assigned to the 58th North Carolina Troops. He first served as adjutant of the regiment, and was undoubtably the regiment’s drill master. On the eve of the battle of Chickamauga, probably on September 17, Kirby was promoted to lieutenant colonel. He clipped his stars out of tin and affixed them to his collar. As the 58th North Carolina advanced toward the Federal works at Chickamauga, they came out of the woods at an angle. Kirby’s side of the regiment was but a dozen yards from the Federal lines. The left side of the regiment was 60 yards from the Federal line. The right of the regiment was giving way, and Kirby was attempting to rally his men when struck by four bullets. Kirby was buried on the battlefield with other officers from the 58th North Carolina. He was disinterred and on October 30, 1863, he was buried in Shockoe Cemetery in Richmond. 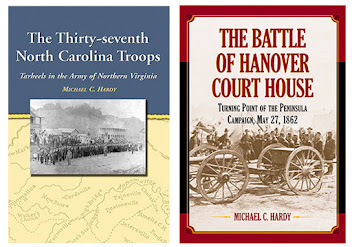 "Young, brave, of fine intellect, and with a noble disposition, he was a great favorite in the army, and had the brightest prospects in the profession he had chosen"
I recently was asked to come up with a list of the five or six most important Confederate monuments in North Carolina. That has been a pretty hard task. The monument in Cross Creek Cemetery in Fayetteville is first on the list, namely because it was the first Confederate monument in the state, erected in 1868. But where to go from there? There are two monuments to women, one on the capital grounds in Raleigh, and the other on the court house grounds in Wadesboro. 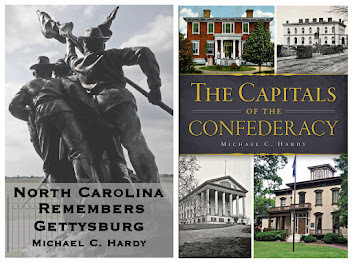 We have several impressive monuments here in the state: the soldiers monument in Raleigh, the monument in Rocky Mount, and the monument of Fame transporting a dying Confederate soldier to Heaven in Salisbury. But what about the monuments that stand silent sentinel over the mass graves at Wilmington, New Bern, Goldsboro, Bentonville, and Greensboro? Not to mention Silent Sam himself in Chapel Hill. So, what I have done is to divide the monuments into categories. The categories are cemeteries; courthouses and public parks; battlefields; women, and out-of-state. We will see if this is acceptable. I was also thinking, if I had to recommend five or six of the most important War-related sites in North Carolina, what would I come up with? That is an equally hard task. Fort Fisher, Bentonville, and the Durham Place make the list for sure. How about the other three spots? The Vance Birthplace? The statehouse grounds in Raleigh? Oakwood Cemetery in Raleigh? Fort Branch? The McElroy House? The State History Museum? Drop me a line and tell me what you would place on your list. This evening, I’ve been working on a little article for the Newsletter of the Avery County Historical Society and Museum. The article deals with Confederate and Federal Pension information. It amazes me how such a little article (one typed page) can be so time consuming. There is no "go-to" source for this type of information, and I’ve had to piece together some facts from various places. 1866 - the General Assembly provided artificial legs at no cost to former Confederates in North Carolina, or, $70 to those veterans wishing to obtain their own prostheses. Arms are included later. 1885 - North Carolina began providing pensions for disabled veterans and certain widows. 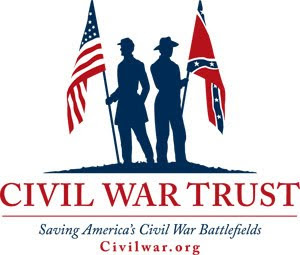 Disabled Confederate veterans received payments ranging between $15 and $60, per year. Each widow received $15 per year. 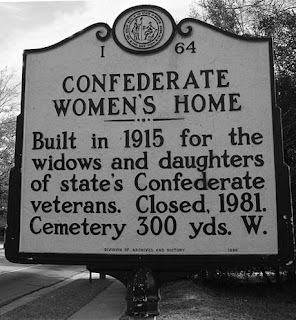 1908 - Home for Confederate widows and daughters established in Fayetteville. Closed in 1981. 1911 - number of pensioners in North Carolina peaked with 17,225 men and women receiving state pensions. I recently came across an article in the Charlotte Observer about the ongoing work of Charles Purser. For a second time, Purser has identified a Federal soldier buried among the Gettysburg section of Oakwood Cemetery. Hats off to Purser and his work. Mingling between Northern and Southern dead isn't so rare, said A. James Fuller, history professor at the University of Indianapolis. Sometimes, he said, Union soldiers died on their way to prison camp and were buried in the nearest cemetery, alongside the enemy. Cemeteries exclusively for Confederates were a product of post-war bitterness, he said, and they were set up as monuments to Southern culture. Raleigh's Gettysburg section was created by the Ladies Memorial Association. In 1871, it arranged for 137 bodies -- all of them supposedly from North Carolina -- to be reinterred. "Cemeteries exclusively for Confederates were a product of post-war bitterness..." Ok, I’ll concede that may be true. However, are cemeteries exclusively for Federal soldiers (National Cemeteries) a product of post-war bitterness? In 1867, when the Ladies Memorial Association of Wake County was formed, their mission was to "protect and care for the graves of our Confederate soldiers." the reason that it was the "Ladies Memorial Association" was that men were banned by the Federal government from meeting in large groups. The ladies acquired a piece of property from Henry Mordecai and began to clean and level the property. Their goal was to move the Confederates interred at the Rock Quarry Cemetery, and others buried in the surrounding area, to the new Confederate cemetery. There were an estimated 500 Confederates interred at the Rock Quarry Cemetery. The Federals wanted the Rock Quarry Cemetery all to themselves, for a National Cemetery for Union dead. On February 22, 1867, the group received a letter from the Federal commander in Raleigh. All Confederates had to be moved from Rock Quarry Cemetery immediately to make room for a National Cemetery. The Ladies Memorial Association set about work. Volunteers disinterred the Confederates and began moving them to the new cemetery. Their progress was too slow for the Federal government, and in March 1867, the Federal commandant issued a letter, stating that if the Confederate dead were not moved by the given date, "their remains would be placed in the public road." By the end of March, the ladies and their volunteers had finished the work. So - if the Federal government came and told you that the remains of your loved ones would be dug up and dumped in the road, well, I guess that could cause a little bitterness. The story is almost the same around Gettysburg. As they were working their fields around Gettysburg, farmers, when finding the bones of Confederate soldiers, were more likely than not to dump those bones alongside a fence. I even recall some advertisements that Gettysburg citizens ran stating that they wanted the graves of Southerners removed from their property or the remains would be disposed of. Is that not bitterness? And was it also bitterness that caused the early leaders, mostly former Federal soldiers, of battlefield preservation at Gettysburg to lead to the denial of former Confederates monuments in Pennsylvania? I think Dr. Fowler’s choice of words poor. A couple of days ago, I got an email from a gentleman in Connecticut who has a Confederate flag in his collection that might have come from the battle of New Bern. I was pulling the addresses for some web sites when I learned that flag historian Howard Michael Madaus passed on July 21, 2007. That was six months ago. While I had never met Madaus personally, I talked with him quite a bit via email when working on the book on the 37th NCT. I am shocked at the loss and more shocked that it did not receive wider notice. Yes, I do live in a place where the sun rarely shines (not exactly true - I do live on top of the mountains), but I do try and stay on top of things in the Civil War world. Madaus’s book on battle flags in the Army of Tennessee is one of my treasured possessions. Then, as I was pulling up a second web site, I read that another great flag historian, Devereaux D. Cannon, passed away on December 29. While I have never spoken to Cannon, I do have several of his books. Cannon was webmaster of the Flags of the Confederacy web page. This is undoubtably one of the best pages on the world wide web. For many of the flag questions that I get, I routinely recommend people to check out this web page. This afternoon, I received an email from the fine folks at Savas-Beatie Publishing. They are compiling a Gettysburg Encyclopedia, and I had the honor of writing the entries on Brig. Gen. James H. Lane and on Lane’s brigade during the Gettysburg Campaign. They are hoping to have the book "in hand" by the end of year, or early next year. I am really looking forward to the book’s release. Happy New Year! We had a great 2007 here in the Hardy household last year, and we are really looking forward to 2008! Yesterday, I had to do something I really dread as a writer. 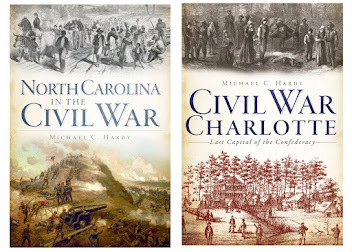 I had to write a small bio on myself for an article that I wrote for an upcoming issue of Civil War Times Illustrated. I really hate writing about myself. I’m not sure if other writers feel the same; most probably do not, but I do. I did not go to Knoxville on Saturday. We found out that we were going to need to go to Johnson City on Sunday afternoon and I stayed at home and worked. J. W. Dugger of the 58th NCT kept a diary, and on September 11, 1863, he wrote the 58th "marched four miles and engaged with the enemy. The firing ceased, at night they rested in line of battle until 10 o’clock." It took me about 1,000 words, all about the affair at McLemore’s Cove, to set up Dugger’s 22 words. And it is only Dugger’s words that I have. I don’t even know in what order Buckner (or Preston) arranged the brigades. Which leads me to my old rant. I am constantly amazed at the number of books on the war. I probably own a thousand - I’ve added nine in the past week. Yet the number of good regimentals are few. 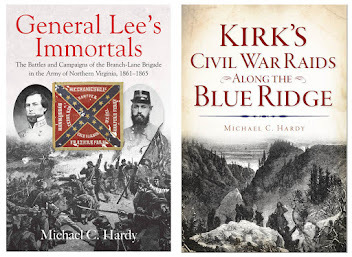 Of the four regiments in Kelly’s brigade at Chickamauga, only the 63rd Virginia has a history - a small history at that. The 5th Kentucky Infantry has no history, neither does the 65th Georgia Infantry. 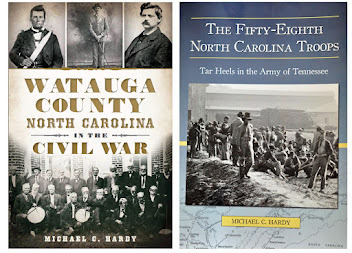 Hopefully this history of the 58th NCT that I am working on will be a small addition to this major hole in Civil War historiography. 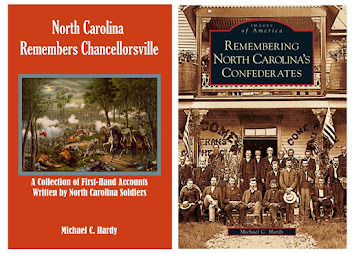 Having already written a popular history of the 37th North Carolina, I can understand why historians avoid this type of work. It’s hard. Instead of studying one battle, or even a portion of a battle, one must understand scores of battles. Camp life, drill, supply, politics in state, national politics, conditions on the home front, desertion, sickness, hospital life, ordnance, and a host of other things related to military and civilian life must be mastered. In my writing, I have often tried to examine different issues. I often write articles about these issues. Sometimes these articles make it to print, and sometimes they do not. Right now, I am working on an article about the problem of fouling during battle. I read a great deal about the issue, I look for other articles, I examine period letters, and I ask a lot of questions. For example, in 1857, Du Pont, which was the largest supplier of gunpowder to the Union army, patented a new method of powder manufacture. They substituted sodium nitrate for potassium nitrate. Well, did gunpowder manufactured the old way, using potassium nitrate, produce more fouling that powder using sodium nitrate?. I don’t know yet (anyone have any ideas? Any chemists out there?). But maybe I’ll find that answer in the near future. The next year promises to be exciting. I’ve got articles slated for publication, and the book on the 58th NCT will be finished. I’ve even got speaking engagements on the calender. It will be a good year.